Our latest reviews of six of the most popular cot mattresses have revealed a big difference between those you can have confidence in and those that are a cause for concern. We’ve labelled three cot mattresses from big-name brands as Don’t Buys because the samples we tested failed key safety tests. But we’ve also found two reasonably priced mattresses that are good enough to be named Best Buys. Read on to find out what our tests found. Or go straight to our list of Best Buy cot mattresses for the mattresses that should support your sleeping baby through years of use. Our tests found a number of cot mattresses on sale that don’t yet comply with certain aspects of British Standard EN 16890:2017. We believe them to be a safety risk that parents should be warned about. Out of the six cot mattresses we’ve just tested, two failed the firmness test we carry out after our durability test (which replicates three years of use). This indicates that after a few years the mattress could become a potential smothering risk if a child rolls over while sleeping onto their front and isn’t able to roll back the other way. The risk is much higher with young babies, so it’s essential not to reuse these cot mattresses with a second child because of the potential loss of firmness over time. The other issue our recent tests revealed is cover shrinkage. If a mattress comes with a removable and washable cover, we remove it and wash it twice according to the manufacturer’s instructions. We then refit the cover and check the dimensions to make sure it hasn’t shrunk and, in turn, reduced the size of the mattress. Shrinkage of the cover which reduced the size of the mattress occurred with one cot mattress we’ve just tested. This shrinkage could lead to an unsafe gap between the cot bed and the mattress, potentially trapping your child’s arm or leg. Read more on these Don’t Buy cot mattresses. We’ve been in contact with all of the manufacturers to let them know about the issues we’ve found and we will continue to update the reviews to give parents as much information as possible. Here’s the full rundown of the latest cot mattresses we’ve reviewed. 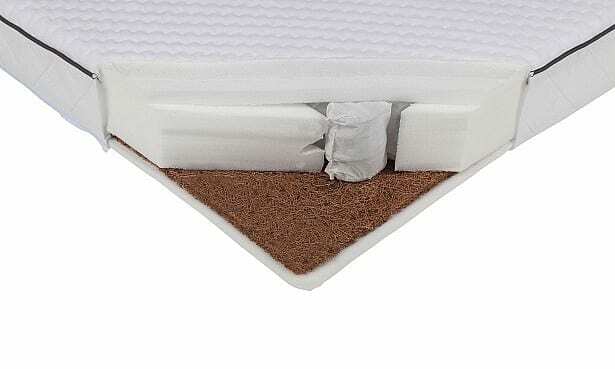 Compare them with other brands in our cot mattress reviews. If you’re on a budget, this Ikea cot mattress might appeal, as its only £45. 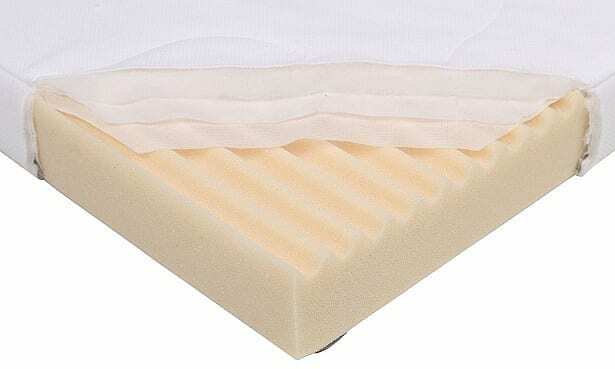 It’s a polyurethane foam cot mattress with a fixed inner cover and a removable outer cover that can be machine-washed. It’s available in two sizes (140x70cm and 120x60cm) so it should fit the majority of cots and cot beds. Read our Ikea Krummelur review to find out if it’s a mattress we recommend. The Ikea Skonast is double the price of the Krummelur, but it’s still one of the cheaper foam mattresses we’ve tested. 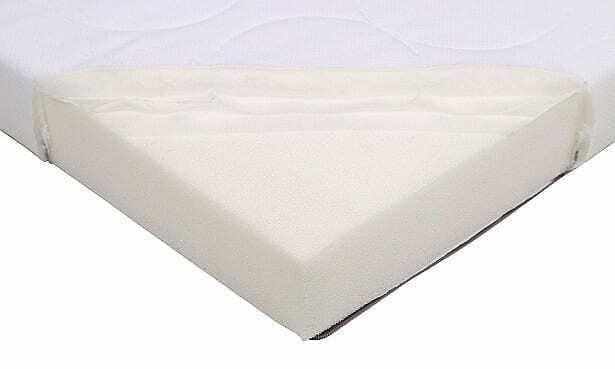 Currently you can only buy it in the standard cot bed size (140x70cm) and, as with the previous mattress, it’s made out of polyurethane foam and has a machine-washable outer cover. Find out whether it’s worth spending more on the Skonast by reading our Ikea Skonast review. 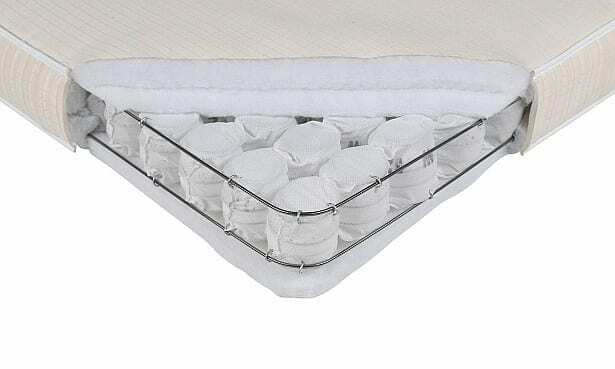 This reasonably priced pocket-spring cot bed mattress from Next has a removable cover and a waterproof layer to stop nappy leaks and vomit from soaking through to its core, so it should be easy to clean in the event of any night-time accidents. Take a look at our Next Home cot bed mattress review to see whether it truly is simple to keep clean. 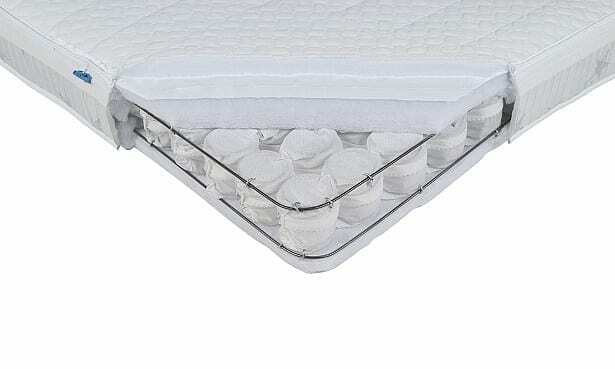 Some parents prefer pocket-spring mattresses, such as this Marks & Spencer Pocket Sprung cot bed mattress. 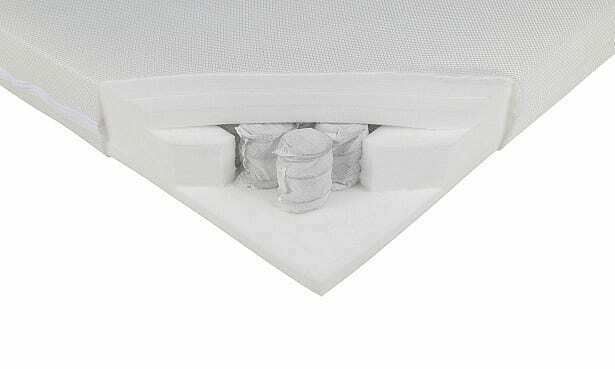 Pocket-spring mattresses are generally pricier than foam or regular spring mattresses, but some people believe that they are more comfortable and give better support. Read our Marks & Spencer Pocket Sprung cot bed mattress review to find out how firm it is and what level of body support it offers. If your child suffers with allergies, this Mamas & Papas anti-allergenic cot bed mattress might be one you’re considering. Head to our Mamas & Papas Premium Pocket Spring cot bed mattress review to see whether it’s worth getting one for your baby. This Silver Cross mattress is reversible, with different levels of firmness on each side to accommodate the needs of your rapidly growing baby. One side is labelled for babies aged 0-18 months, while the other side is for toddlers aged 18 months and over. Find out whether this helpful extra means you should seriously consider this Silver Cross cot mattress, by reading our Silver Cross Superior cot mattress review.